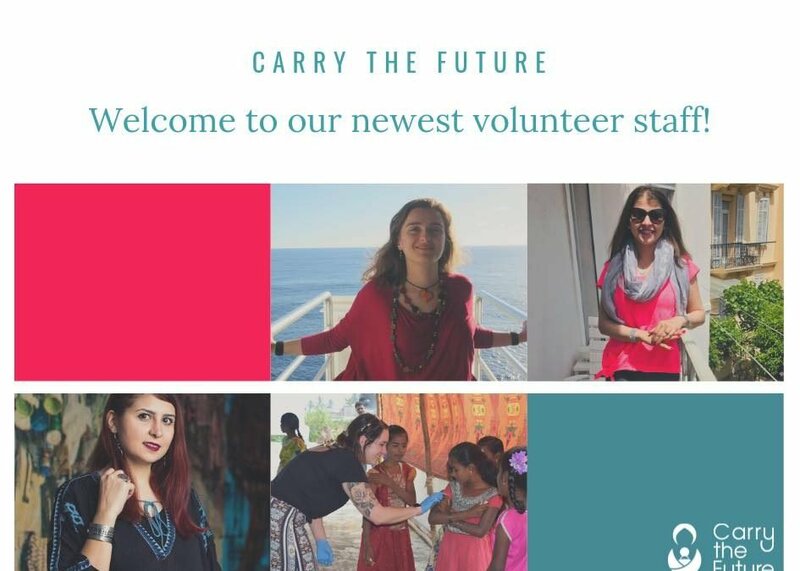 At Carry the Future, all of our volunteers are passionate about helping refugees. Our volunteers span the globe. Even though we are from different countries and cultures, we are a family committed to serving refugee families. This week, our family is excited to introduce our newest volunteers! Roza is an immigrant living in Los Angeles who is very excited to join the Carry the Future team: “I want to be involved because I want to make a difference.” Studying and working in Graphic Design, Roza comes to us with expertise that she plans to use to make Carry the Future’s impact even stronger: “I’m so excited to join the Carry The Future team and grateful to use my skills to make a difference in other’s lives.” When asked why she wanted to get involved, Roza stated, “I believe we all are like a single drop, but together we will make a beautiful sea!” We are so excited to welcome Roza to our “beautiful sea.” Welcome, Roza! Based in San Francisco, California, Jana works as an accountant in Financial Services. In her free time, she loves being with her family, especially her two children. Her friends also play an important role in her life: “I believe friends have a truly special place in everyone’s lives and certainly for me.” Jana was motivated to volunteer for Carry the Future because she understands how important it is to be a global citizen: “Carry the Future is nothing short of inspiring. I am truly touched and motivated by the work done by all the amazing people at CTF. This is an opportunity for me to give back and help out as a citizen of the world.” Carry the Future’s mission of solidarity will be furthered through all that Jana brings to our organization. Welcome, Jana! Born in Damascus, Syria, Ghalia has also lived in Qatar and now resides in California. Going on a distribution trip made her realize that she must get involved: “I wanted to get involved because I wanted to stop feeling helpless towards a cause that is so dear to my heart.” An avid traveler, Ghalia is very thankful that she is fortunate enough to have experiences like camping and hiking. Ghalia finds great fulfillment through volunteering, so she is very excited to join our team: “I love volunteering for organizations that have a tangible positive impact, so I am looking forward to working with the awesome team at Carry the Future in serving a vulnerable population of refugee families and children.” Ghalia’s experiences and urge to help will be a welcome addition. Welcome, Ghalia! Kansas City, Missouri is home to Laura and her “two very active puppies.” In her free time, she loves listening to podcasts and eating new foods. Laura is also a PhD nursing student who works part time as a nurse. Even though Laura has a busy schedule, she felt the urge to help refugees: “I would like to volunteer more of my time to helping people, but find it hard with my busy schedule. I wanted to get involved with Carry the Future because I felt like it was an organization I could make a huge impact for from home.” Laura’s #dosomething attitude will make her a wonderful asset to Carry the Future. Welcome, Laura! We are so excited for all of the good work that we will continue to do with our newest volunteers! Their messages of hope, kindness, and solidarity highlight how important it is for us to be empowered together. Click here to see how you can get involved with Carry the Future.